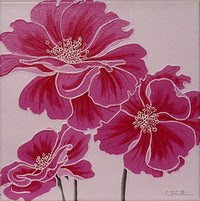 Contemporary Mosaic Art by Claire Fairweather: 2nd batch of Glow-in-the-dark Swirl-StoNZ - even better! 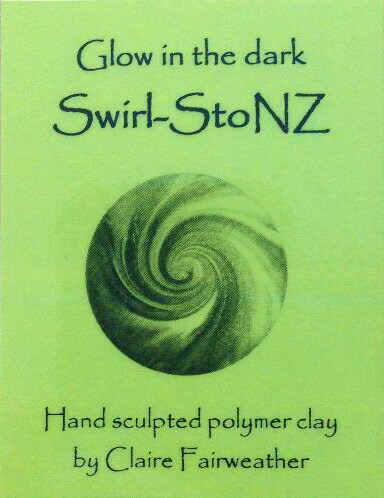 2nd batch of Glow-in-the-dark Swirl-StoNZ - even better! 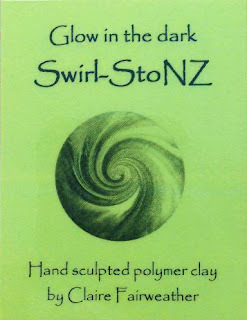 I know a lot of people were disappointed that the glow-in-the-dark Swirl-StoNZ, featured in the local newspaper, were sold out when they came to the recent Christmas Art Markets at the Estuary Art Centre. These glow-in-the-dark (GITD) Swirl-StoNZ were so popular, they sold out within the first hour, mainly bought as 'stocking fillers'. I have unsuccessfully tried to find some more suitable GITD polymer clay locally, as there is no time to order it from overseas and get more made before Christmas. So, I have been experimenting with making my own. 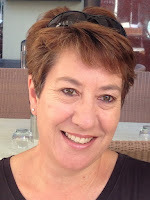 Thanks to Ginger Davis Allman of www.thebluebottletree.com for her article about DIY glow-in-the-dark polymer clay. Luckily I had a small quantity of the GITD powder, which when mixed with translucent polymer clay makes it glow in the dark. It is actually brighter and longer lasting than the manufacturers versions of GITD polymer clay. So this weekend, I am making a second batch of GITD Swirl-StoNZ, which will all go to the gallery shop at the Estuary Art Centre on Tuesday morning. I will definitely be ordering some more of this GITD powder, so I can make my own GITD polymer clay for use in the future.